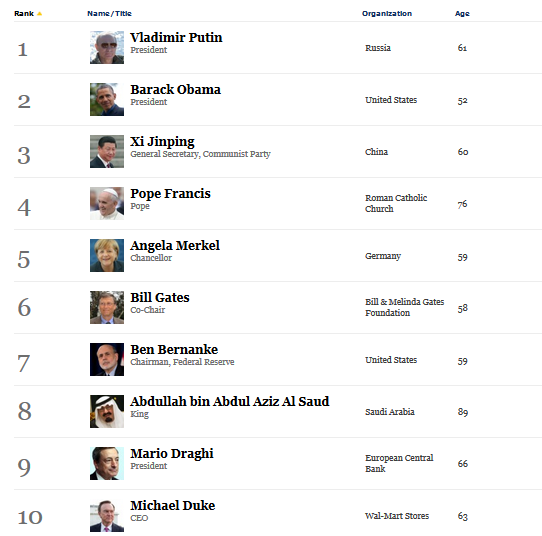 A lot of people are already questioning whether or not this list is credible seeing that Vladimir Putin, President of Russia displaced Barack Obama as most powerful man on earth! 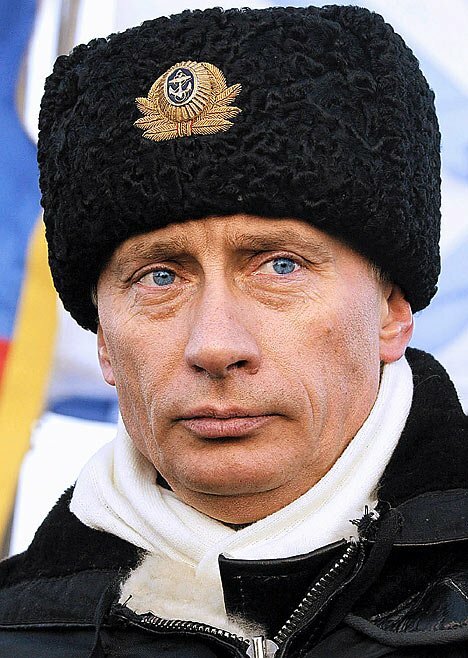 However, this may or may not be unrelated to the current powerplay between both Presidents with issues bordering on Syria and the American, Edward Snowden, currently living in Russia after leaking Americas spying activities and their modus operandi to the world. 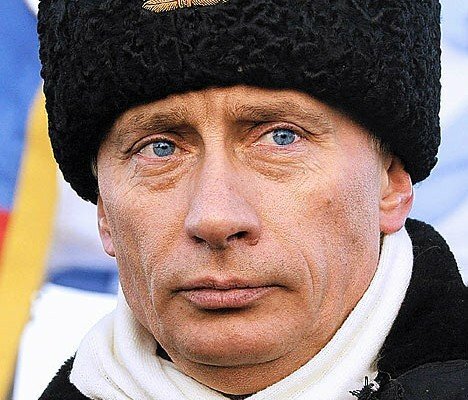 These events clearly shows that Russia may be in a powerful position and Putin continually refuses to budge even when seemingly pressured. 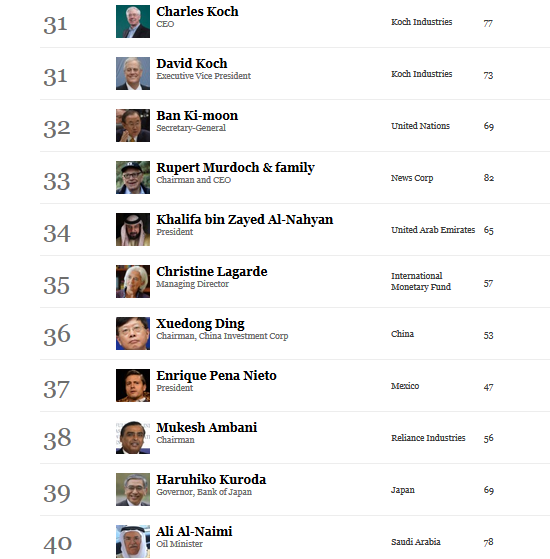 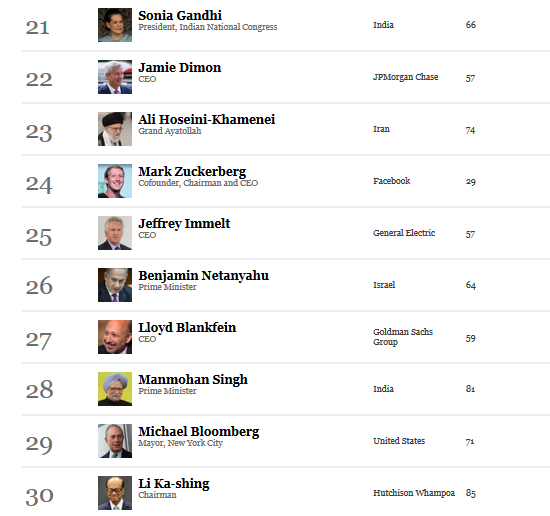 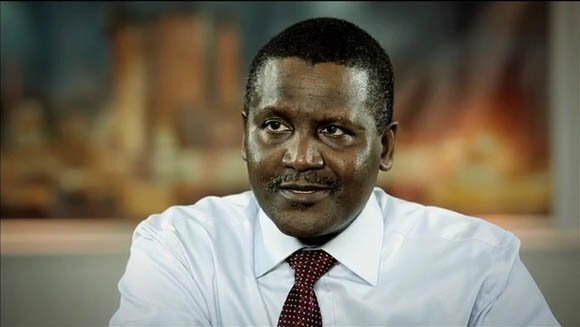 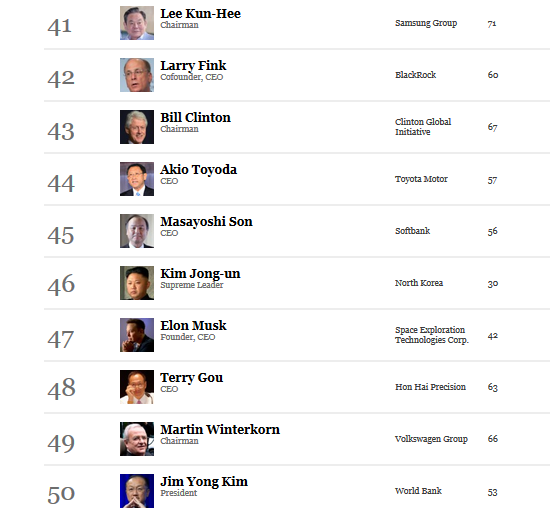 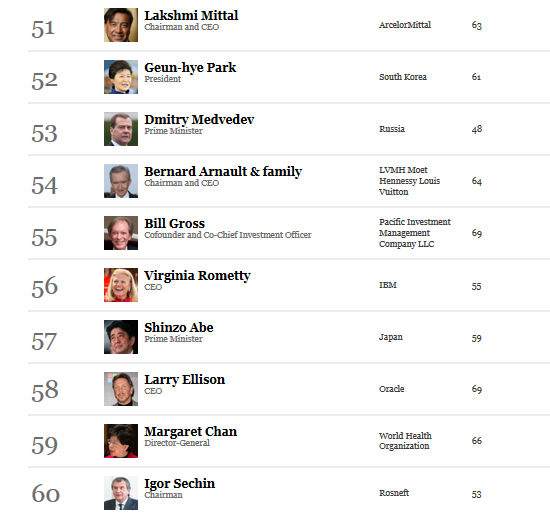 It is exciting to find Nigeria’s Aliko Dangote on the list and I am hoping that he works out how to bring his power to play to promote good governance in Nigeria and possibly help support the installation of credible and people-oriented leadership.